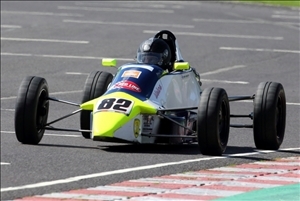 Andrew Higginbottom represented the WPR Team at Donington on April 13th driving Wayne Poole's Van Diemen RF88 in the opening round of the 2019 MSV Racing Heritage Formula Ford championship for pre '93 cars. In a good turn out of 24 cars Andrew qualified well in tenth and in the first race was running well until the last lap when he dropped to 16th at the finish. Race 2 went much better and Andrew made up plenty of places to finish an encouraging tenth.